Telehealth is a modern healthcare option that is attractive to both doctors and patients for many reasons. It’s cheaper and more convenient than traditional consultations and can improve the overall quality of healthcare by connecting patients with the best physicians for their needs—no matter how far away those physicians might be. Specialists can consult with patients half a world away, which is extremely beneficial for patients with unusual medical concerns. Rural areas are especially suited to telehealth, areas where patients would traditionally have to travel long distances to see a healthcare provider or reach a major hospital. Telehealth is revolutionizing the doctor-patient relationship, but there are significant barriers involved with widespread adoption. The financial side of telehealth might be more cost effective for patients, but doctors are struggling with implementation for financial reasons. Why is Telehealth Cheaper for Patients? Telemedicine often reduces the need for transfers and additional consultations, which can save time, money, and stress for patients. According to Adventist University Health Sciences, three major telemedicine companies (Teladoc, MDLIVE, and American Well) reported over 400,000 doctor-patient sessions in 2013, which some services provided for about $40 a month for patients. This saved patients between $99-$800 on average per session, depending on whether or not the patient would have gone to their primary care physician, a specialist, or an ER. This study notes that that 25% of Teledoc users were successfully diverted from the emergency room, reducing unnecessary visits. In addition to patient savings, employers can see huge benefits from contracting with telemedicine, potentially saving billions on healthcare costs. Currently, most physicians who offer telehealth services practice in rural areas, allowing patients to receive diagnoses, treatment advice, and follow up without having to travel long distances for monitoring visits. Telemedicine can even save lives by providing expert assistance to local physicians from specialists when travel is not possible. The Alaska Tribal Health System (ATHS) has implemented telehealth with great success, allowing rural patients to save $8-10 million on travel costs since the program was initiated in 2001. Other programs have had similar success, proving that there is a need for telehealth services, particularly in isolated areas. What is Behind Slow Adoption Rates? A survey conducted by the Robert Graham Center, American Academy of Family Physicians, and Anthem revealed that only 15% of the 1557 physicians surveyed had implemented telehealth sessions as part of the services they provide. If telehealth can provide low-cost, high-quality healthcare for the global population, then why aren’t all doctors using this technology for some of their patients? Unfortunately, the savings patients and insurance companies enjoy aren’t always shared by the offices providing the care. Physicians must contend with the cost of equipment, reimbursement struggles from insurance companies, and cost per session. These financial barriers seem to be the main reason telehealth adoption has been so slow. In fact, American Journal of Managed Care notes some surprising numbers from the same survey: “Almost 90% of both users and non-users said they would use telehealth if they were to be reimbursed.” This shows that the overwhelming majority of providers believe telehealth is an important tool that helps improve healthcare for patients worldwide. The initial outlay that physician offices must make for telehealth equipment is the first hurdle in providing low-cost services. In a National Institute of Justice report, we see that equipment costs can be high initially (over $70,000 in this example), but that the savings start to accrue once enough consultations have been conducted. However, that initial outlay can be a stumbling block for physicians, and many have not been able to implement the technology for their patients thus far. Rural physicians are more likely to implement the technology since they can anticipate a greater need for telehealth services than urban providers. There is good news, however. As with all technology, equipment costs are only going to go down, making telehealth a more accessible option for physicians to offer patients. State laws surrounding reimbursement also vary greatly. Until insurance companies are required to provide reimbursement for telehealth, or most private firms see the value in telehealth services for cutting overall costs, adoption of telehealth services will be slower than patients and physicians would like. Currently, costs per session are not fixed, making widespread adoption problematic. Companies like Teledoc use a subscription-based system, with patients paying a flat fee per month to access telehealth services. Without set rates, the cost per session can be unclear, with consultations and other types of communication (such as email or data transfer) could go unpaid, and practices can easily lose money this way, as CareCloud discusses. Telehealth is an invaluable tool for patients with a wide range of concerns, and can help bring down the overall cost of healthcare. The demand for telehealth is clearly present, and since most physicians seem eager to participate in this new form of healthcare, removing these financial burdens is crucial to widespread adoption. Convincing private insurance companies and employers that telehealth is an important part of our healthcare system is the only way to improve access. Currently, regulations are still mostly undefined, and until there are more concrete requirements placed on reimbursement policies, telehealth adoption will likely continue to grow only at a slow to moderate pace. 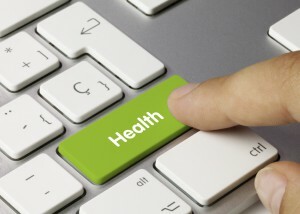 When do you think telehealth technology will finally take off? Is there anything else that needs to be done for this to happen? Let me know in the comments below! I have been a consultant for startups in multiple industries including health and wellness, wearable technology, nursing, and education. I implement my health knowledge into ever aspect of my life, including raising my two children. When I'm not watching the New York Yankees play, I enjoy practicing yoga, playing volleyball and lacrosse and reading a good book on the beach. Medical Care or Your Home? Is Quality of Healthcare Just Luck? Pay is very important to my friends that are Physicians. Some have wanted to quit due to long periods of wait for payment. This would be the biggest barrier for telehealth. Any barrier removal would all people, especially those with disabilities. I agree Bob, thanks for your comments!